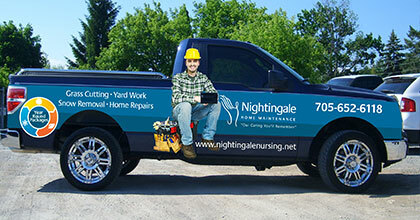 Nightingale Home Maintenance Inc provides snow plowing and removal services to to Peterborough City & County. To discuss your snow removal and plowing needs, please give us a call today! With our convenient service plans, you can receive unlimited plowing services for every 4 to 5cm of snowfall. This ensures walkways and driveways are always free of ice and snow accumulation. Within our package plans, we provide unlimited snow removal services on an as-needed basis. So, if it happens to snow every day, you still only pay one low rate. Prompt, attentive service is assured. And, the quality of our work is always guaranteed!